Balconies, a space to discover! Cities are growing more and more vertically. 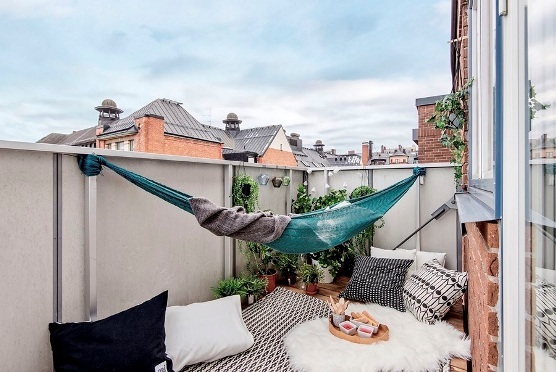 And it is precisely the lack of space in the challenge that has the small apartments to create terraces or balconies that offer sufficient outdoor space for people. An atmosphere full of light, air and very good view; these are enough reasons to contemplate this place as an essential part of our home, take advantage of the fact that we have a balcony and decorate it to our liking and take full advantage of it. The areas on the balconies or terraces, talking about measures, as always vary. The materials and shapes of these are predetermined by the design of the building. No matter how much space you have, there is always a way to locate a chair or a table, where you can sit and enjoy the view. Take advantage of this incredible space to make your own garden. Locates plants with pots of different designs, heights, and vertical gardens. It benefits, it is a habitat conducive to the growth and development of these. Add wood items, either on a table or chair. The lighting of the space is also vital. Because it is a very pleasant place to be at night, drink a few drinks and relax looking at the city skyline, it is ideal to place some lamps hanging on the walls. This type of lighting is very fashionable and mixes well with home decor. A great idea to save space and get the most out of the areas is to create fixed furniture. In a corner of the balcony, a space of furniture in L shape, which is usually made of wood with pillows or blankets to sit on. 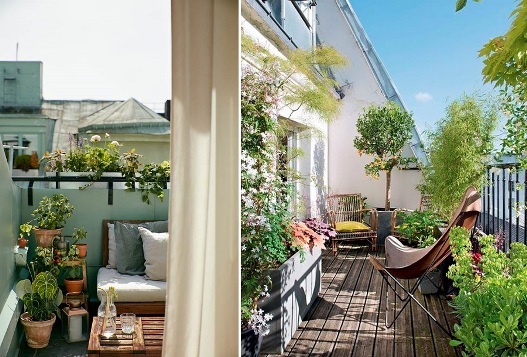 Finally, look what your balcony offers and according to it, go for it to decorate it under your own ideas. ← Your dining table: Rectangular or round?